Ever gone on a fishing trip and wished you could see where the fishes were when they weren’t biting the bait? Well, there just might be a piece of technology that you can use. Meet PowerRay – PowerVision’s underwater robot drone that takes technology used for flying drones in the air and brings it to the watery depths of the sea. The PowerRay has an attached 12-megapixel camera that allows you to have a view of what lurks underneath your boat or farther from shore. With it, you can take photos, record 4k UHD videos or stream 1080p views to navigate and explore. This water drone also has attached headlights to illuminate the area you are exploring. 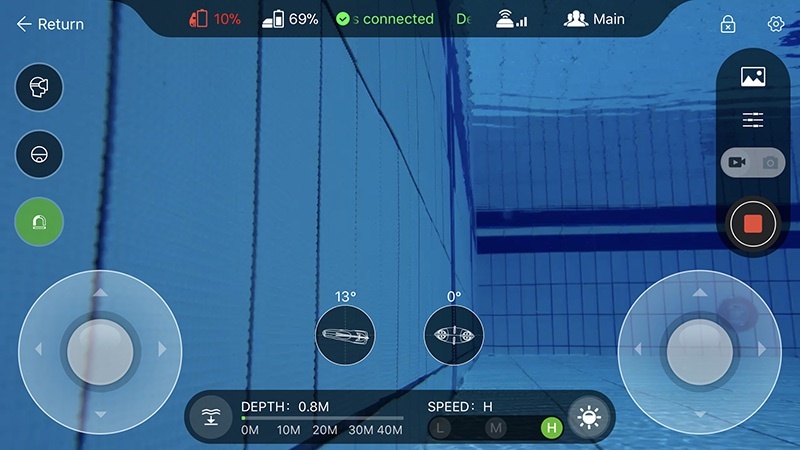 As radio signals are unable to penetrate more than a few centimetres in water, the drone is controlled via a 70-metre cable to a wifi base station. This in turn connects to the provided remote controller or an controller app on your Android or iOS device. We decided to test the drone in a pool to see if it would live up to its promises. The fast and responsive underwater speedster is specced to cruise at speeds of up to 3-4 knots (2 metres per second). This is important in order to fight underwater currents it may encounter. It also has a dive depth of up to 30 metres. I realised I needed to factor in preparation time before using the drone the first time — from charging the various components (the drone, remote controller, wifi base station and fish finder sonar), downloading and using the app to learning to control the drone. The drone must be tested in water as sensors in the drone will not activate the propellors if it is not submerged in water. This is a safety feature as the propellors can only run for a minute in air before overheating damages it. 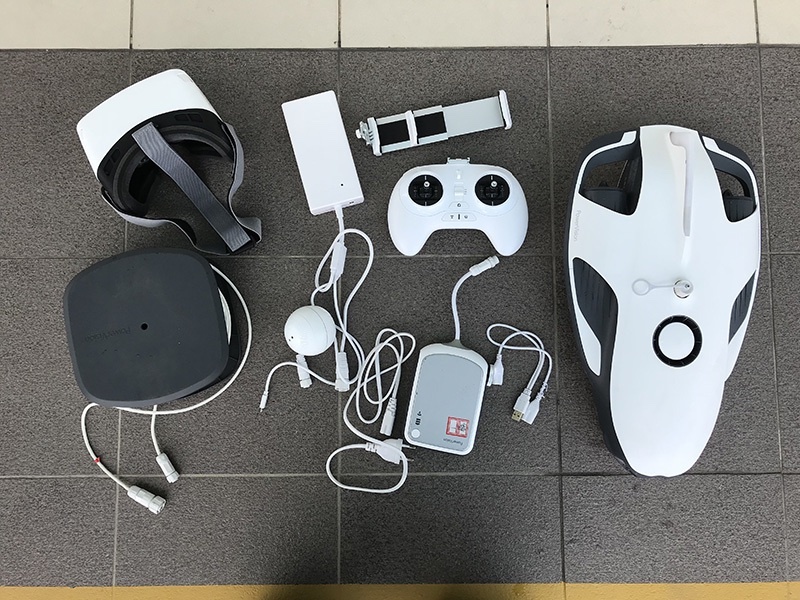 The PowerRay also has an option to use a VR headset to have a first-person perspective of the drone and control of the drone by turning and moving your head. 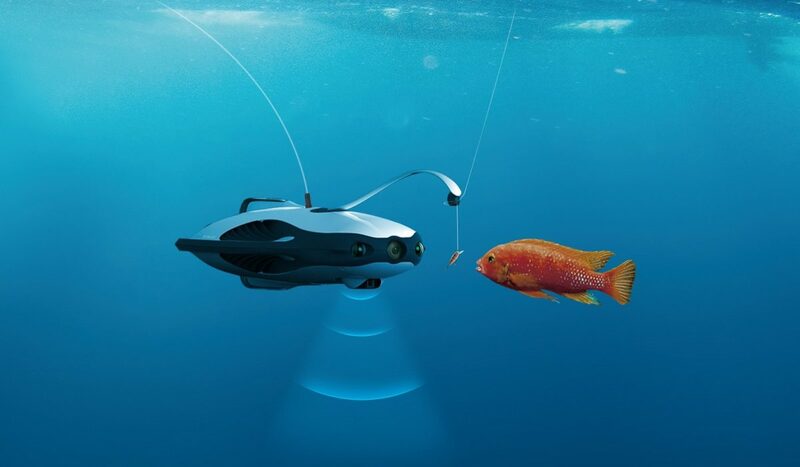 For anglers, there is a fish finder sonar add-on which you can affix to the bottom of the drone. Also provided is a magnetic bait drop that you can attach your fishing lure to. 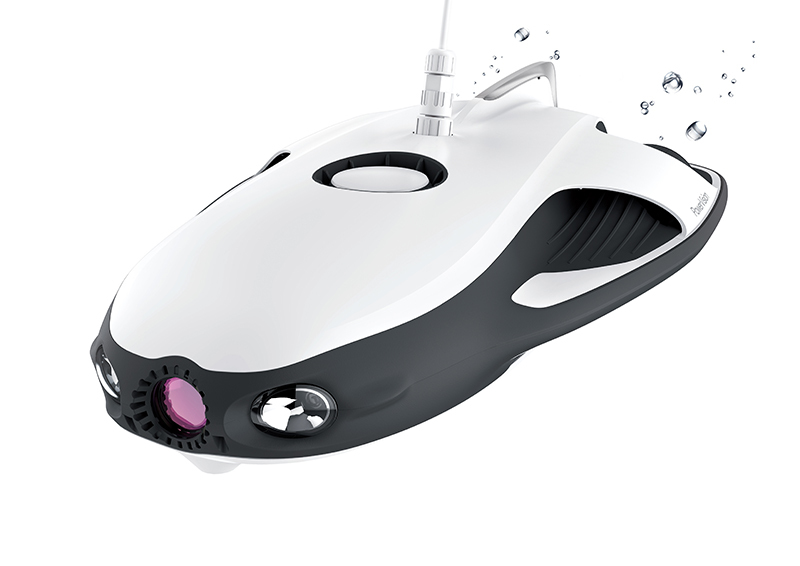 Once you have discovered a suitable site to catch fish, you can remotely drop the fishing lure. 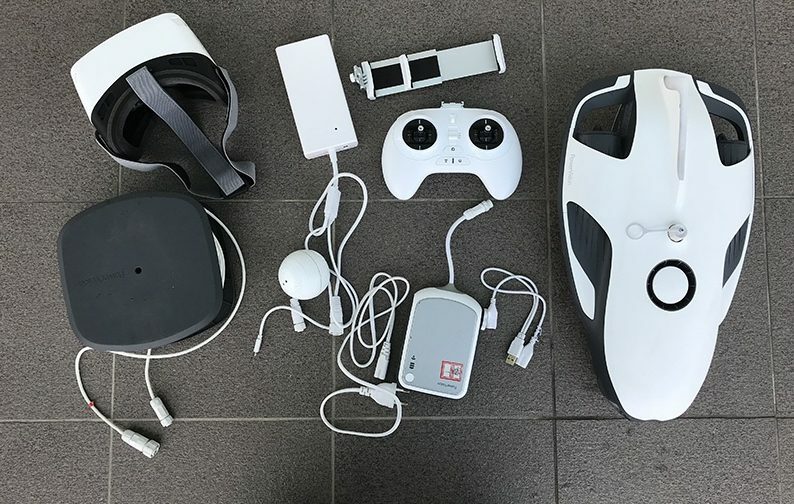 On its website, the drone is sold in three different configuration packages to suit your needs, from the basic PowerRay explorer (drone, controller, and base station), PowerRay angler (PowerRay explorer plus the fish finder and bait drop), and the PowerRay wizard (PowerRay angler plus the VR goggles and suitcase). We had the full comprehensive package of the PowerRay wizard to review, and it weighed 10.7 kg. So, you will need to consider this when carrying it on top of your other scuba diving or fishing equipment when travelling. I would say that the PowerVision PowerRay would be best for anglers who need to scan an area to locate fish. 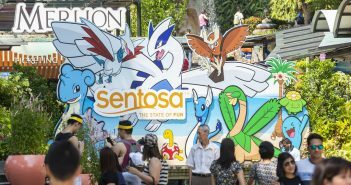 Pricing may also be an issue as its retail price starts from S$2,599. I would probably not recommend it for the average or casual diver; consider this – on top of your luggage and equipment, you would have to lug this around on your flight to your favourite diving spot. However, if you have the budget and storage space on a boat, it can be used to enhance your dive trip experience and record memories. For the angler who takes regular boat trips and explores different fishing areas, this can be a boon for you to have a more productive afternoon to search out the best places to cast your lure. The PowerRay Explorer (S$2599) and the PowerRay Wizard (S$3599) is available at major retail outlets and shopping centres including Best Denki Singapore, Courts Singapore, Gain City, Harvey Norman Singapore, Mustafa, Sprint Cass Singapore (Changi Airport) and 12 more stores islandwide. Nicodemus Chan is a lifelong learner and challenge seeker. 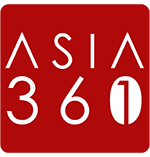 He is a lecturer in an institute of higher learning teaching information technology-related subjects.